Gargi Hüttenes-Albertus Pvt. Ltd. is a joint venture between Gargi and Hüttenes-Albertus Chemische Werke GmbH, Germany, world leaders in Resin, Coatings and Consumables for the Foundry Industry. Since 1987 this unique joint venture is serving the Indian Foundry Industry with world class products and providing latest technology with tailor made products for the foundry industry. The State-Of-The-Art manufacturing plants are located at Navi Mumbai & Khopoli in Western India and Fujairah, U.A.E. The Company works with quality management in accordance with ISO 9001-2008. 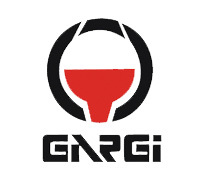 The Gargi In-House R & D Centre (recognized by the Dept. of Science and Technology, Govt. of India) manned by highly skilled team, successfully tailor makes products to meet the quality requirements of each customer. We guarantee high levels of Quality with our products from start to finish. We not only deliver in terms of product quality but also guarantee supply capability and speedy delivery. The technology is backed by M/s. Hüttenes-Albertus Chemische Werke GmbH, Germany. We are the Indian arm of this Global Group of Companies who openly share their specific expertise making it readily available to other markets. Effectively when you work with us you are working with an entire Network of Specialists, worldwide.